I'm pretty sure this is the first solid book review I've actually posted on here or on my own blog. I always mention books and artists of desire but with no full feature. 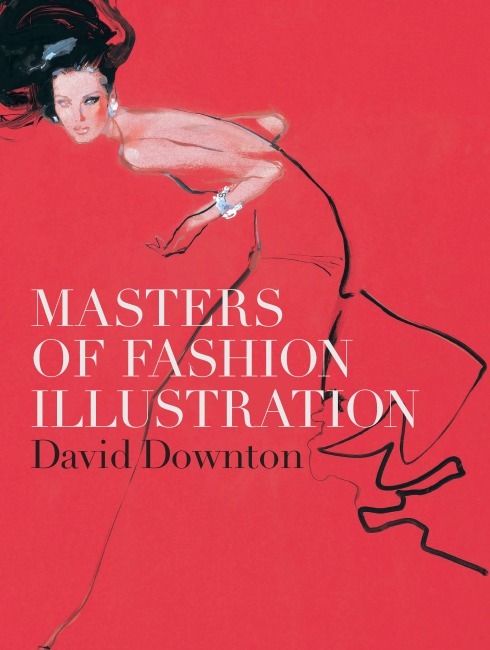 basically, Downton's new book which I recently received, is truly an important book to any fashion illustrator, more so than any other book I've came across, and needs a solid review to reflect this. As soon as you see Downton's new book, you know it isn�t going to be another forgettable compilation book of contemporary illustrators. The design of the book alone is worthy of pointing out, connoting the historic beauty and elegant styles of the illustrators and artists featured, alongside a fantastic portfolio of David�s own work. It's obvious that he has clearly put his all his time and effort into this, the passion for the artists shines through every paragraph and image, and although he admits in the interview that the selection of artists was slightly self-indulgent, in my eyes it works better than simply showing a selection of illustrators that would people-please on a broad term, and instead keeps things direct and interesting. The curation of artists itself is fantastic. There was a bit of debate over the fact that Downton left out Gruau, which is understandable given his significance. However the book draws your attention to artists or illustrators of equal influence but possibly less exposure, and there are already enough books and references to the work of Gruau to justify his absence. The book chronologically ranges from Boldini and Leyendecker (he of the iconic Coca Cola ads), through the gazette artists who influenced the likes of Gruau and Bernard Blossac in the mid century, right through to Lopez And Viramontes. What was actually surprising, was how interesting it was to read about artists and illustrators past. I�ll admit that when it comes to more historic artists, I�ll usually skip the information about their career and focus on their work. Downton manages to place the context perfectly within the focus of the works, and as such nothing feels �dated� when viewing. With David�s obvious interest in the pursuit of a career in illustration, and the likeliness that a significant amount of readership will also be interested in an illustrative career, the text manages to keep informative and exciting without ever becoming dense about the artists� techniques. It�s beautifully illustrated throughout, and draws focus to the individual talents and styles of each artist, and made me reconsider the work and focus of something that I would have originally overlooked. Also, the sheer amount of previously unseen and rare work makes this an absolute gem to behold. If you even serve a remote interest in the likes of Downton / Gruau / fashion illustration as a whole, or even more contemporary illustrators, this book is incomparable for a great learning experience and eye opener, and will no doubt provide inspiration on some level. To see a video feature from the launch party of David�s book, click HERE.